Making Flint a better place to live, work, and play! Reminder: 4th Friday Breakfast is Tomorrow! Join us Friday August 23rd, at 7:30 am for Flint Club’s monthly 4th Friday breakfast. For those not familiar with 4th Fridays, this is a great chance to find out what’s new, cool, and innovative in the city, and hear from a guest speaker that runs a program or organization actively working to make Flint a better place to live, work, and/or play.This month’s guest speaker is the City of Flint Chief of Police Alvern Lock, who will discuss challenges, opportunities and recent successes achieved by the Flint Police in their effort to improve the quality of life in Flint. Hoffman’s provides free coffee and a variety of breakfast sandwiches, most under $3. Our attendees can just listen, or they can discuss any community projects that they’d like to make others aware of during the roundtable that takes place right before the guest speaker presents. Flyers are welcome as well! Sound interesting? Come join us! See you tomorrow morning! Don’t Forget about 4th Friday Breakfast–This Friday! Wow…it’s the end of the month already! That means it’s time for 4th Friday Breakfast! This month, we welcome William Hammond, Executive Director of Salem Housing Community Development Corporation, a non-profit organization who serves a diverse population, utilizing and leveraging its planning, community building and development expertise for neighborhood revitalization, leadership development, sustainable quality housing and economic growth. Developing partnerships and collaborations with organizations, businesses and the private/public sector to revitalize neighborhoods. Providing safe, decent and affordable housing. Focusing on targeted neighborhoods to achieve the greatest impact. Come at 7:30 for networking and grab a breakfast sandwich. Mr. Hammond will speak at 8, and the breakfast will conclude by 8:45 so that everyone can be at work by 9 am! 4th Friday Breakfast Is Just Around The Corner! 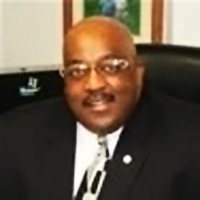 Come join us this Friday, May 24th at 8:00 a.m. at Hoffman’s Deli located at 503 Garland St. to hear Lawrence E. Watkins, Jr. talk about what’s in store for Flint Community Schools. Networking at 7:30 a.m.
Children Are our Future! Learn how Whaley children’s Center helps severely abused and neglected children! Like Flint Club on Facebook!